On Day 4, our final day of the first week, we finished up learning about transformation methods. We had a four day week because yesterday was July 4th, and the lab was closed to celebrate the holiday! We started out the day by transferring our leaf-discs from co-cultivation medium with Agrobacterium to SIM-which is used to grow shoots. The Agrobacterium were washed off of the leaf discs, using B5- which is basic growth medium. We completed 3 washes to basically dilute the bacterium to a very low level. The discs will stay in this medium for about a week. 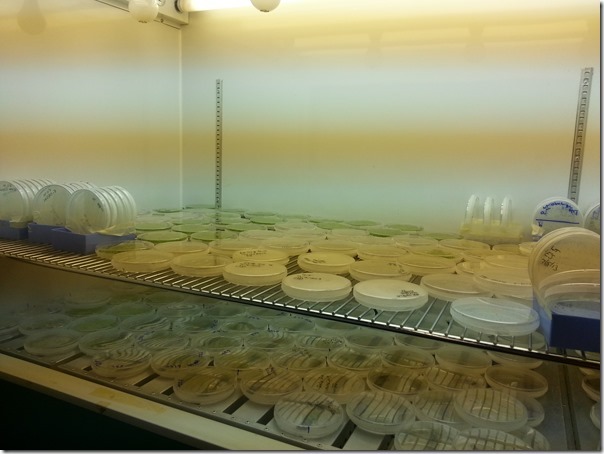 We moved our plates to the growth chamber in the basement of Lederle Graduate Research Tower. The plates will grow in the chamber for a while. 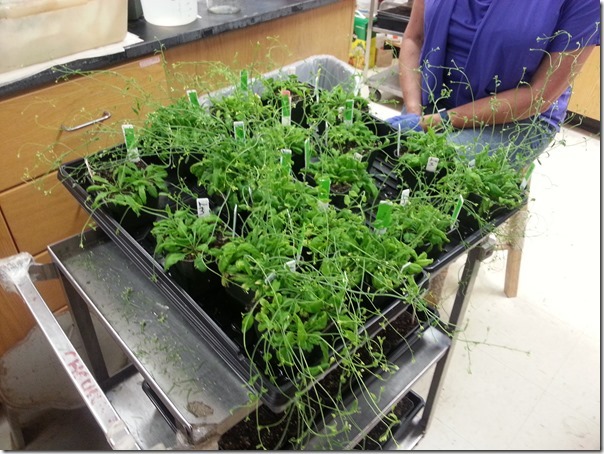 We then started a new process of transformation, this time using Arabidopsis. The method we used was transformation by dipping. Basically, you take the unopened buds, and dip them in a solution of agrobacterium. This solution will change some of the seeds. You then screen the next generation, find the modified seeds, and grow them into plants, which produce a new generation of modified seeds. 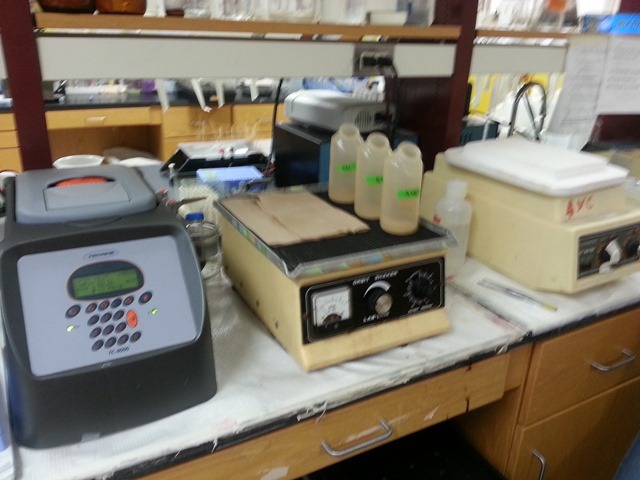 Mixing Agrobacterium on an orbit shaker.